In honor of National Pizza Day quickly approaching, we hit up some of the city's most loved spots. SEATTLE — Did you know that February 9 is National Pizza Day? With that in mind, we hit up some of our favorite pizza joints in the city. Our tasty tour began in one of Seattle most diverse neighborhoods. "This is Bar del Corso on Beacon Hill, and we are a wood-fired pizzeria with a kitchen," says Jerry Corso, chef & owner of Bar del Corso. His take on pizza has made this place a popular pick ever since they opened in 2011. "It is Neapolitan in style. A Neapolitan is cooked in a wood-fired oven in about 90 seconds. We cook at around 850 degrees, very hot. We like to get some color on the bottom of that crust so it's not soggy," says Corso. The pizza specials change daily, but the standards are always on the menu. "The pizza is called the funghi. It's sliced mushrooms, crimini mushrooms in this case, house-made sausage and the fontina. Another popular pizza is the Corno Di Carra. 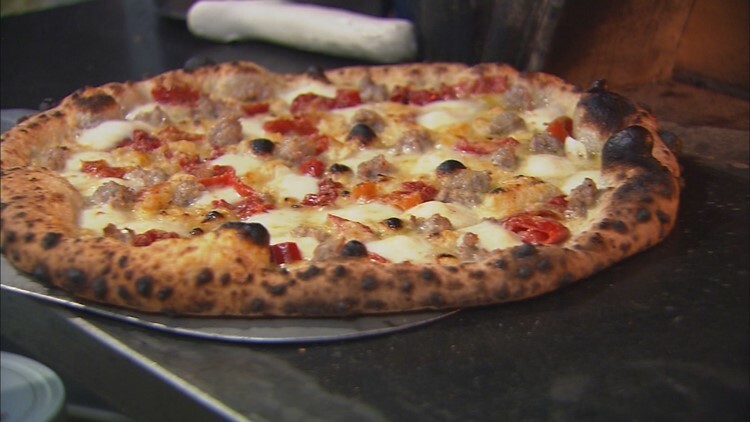 It has the house-made sausage, pickled goat horn peppers, mozzarella and a little bit of garlic." "Really, that's what makes the pizza is when you try not to overload it," says Corso. A truly American-made pizza can be found in Seattle's University Village. 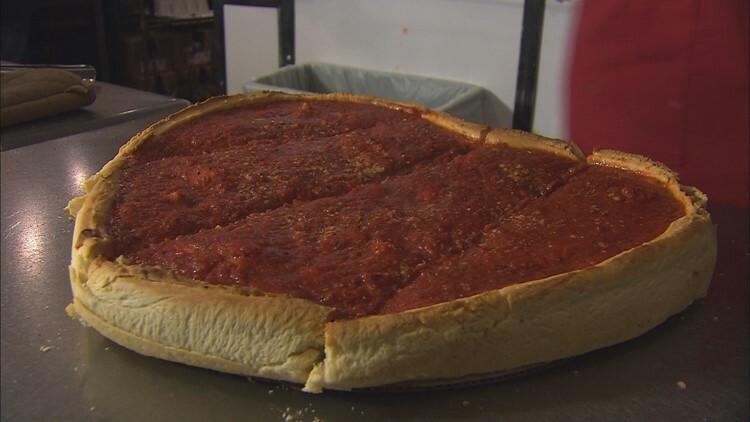 "This is Delfino's Chicago Style Pizza and it's been around since 1992," says Jay Cascio, owner of Delfino's Chicago Style Pizza. "Chicago style pizza is really defined by a few things. Number one: you have to have a great crust. Number two, the sauce. Number three: top quality, fresh ingredients, and number four, if you're truly authentic, your oven," explains Cascio. The oven used a Delfino's is almost as old as the Chicago style itself. "In 1947, this oven was built for the specific reason of cooking Chicago style pizza. Chicago style pizza takes about 30 minutes to cook because they're so big. They're so plump, they're so full. So you need an oven to distribute that heat evenly to cook them slowly in a 600-degree oven," says Cascio. With almost every pizza coming in around 5 pounds, you'd be hard pressed to walk away hungry. "There are a lot of deep dish places, but very authentic Chicago style in the northwest and we're happy and lucky to be number one," says Cascio. Finally, for true New York style pizza, head over to Big Mario's in Frelard. 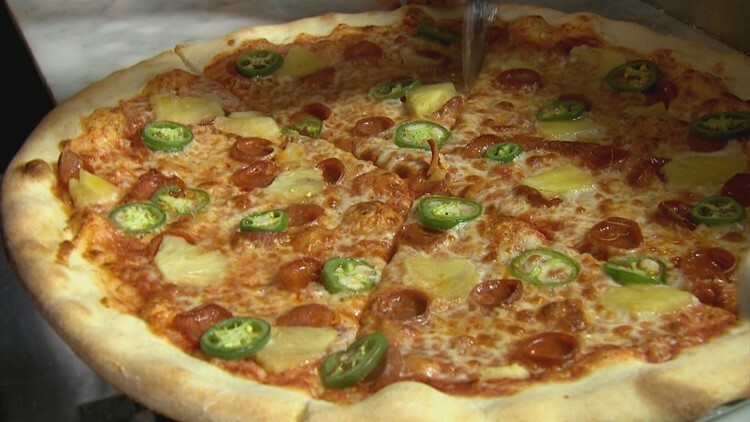 It's the third location in Seattle, where they serve up massive slices of classics like pepperoni and cheese, alongside specialty pies like the Spicoli. Made with pepperoni, fresh pineapple and jalapenos, it's the pizza that made Big Mario's famous. The Spicoli is one of Big Mario's most popular pies.